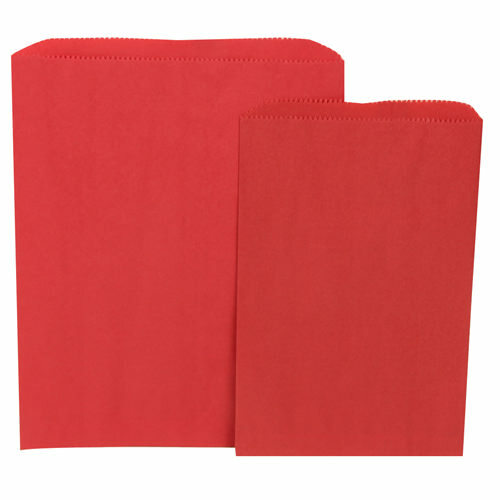 Be passionate about your brand with these expressive Red Merchandise Bags. Immediately your potential clients or guests at the party will understand your fiery passion. The vibrant color makes anything you decide to put inside figuratively come to life. Whether they are business pamphlets for your company's marketing or cards for Christmas, these versatile bags will surely make a bold statement. Party favors, business favors, any favors - these bags will surely work in your favor (see what we did there?). The flat bags are perfect for any kind of favor - from candies to cards, from money envelopes to anything with your company logo on it! When you want your business or party to be remembered, grab these bags and give them out at the end of the night. Everyone will drive home with a smile on their faces.